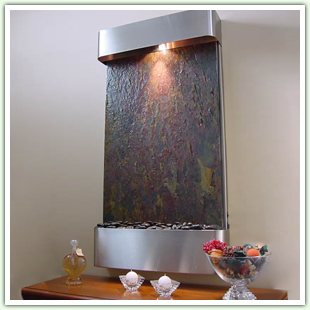 Water fountains create atmosphere and add to your indoor decor. They can add interest, invite investigation or become the focal point for an entire room. at work. Browse all table water fountains today. 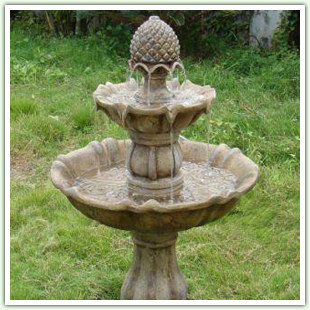 Enrich your garden or patio with an outdoor fountain. 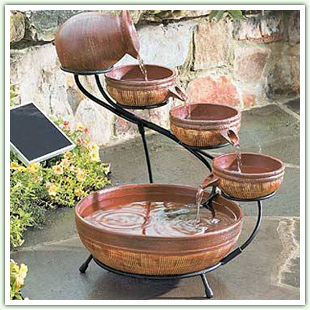 Browse all outdoor water features today. outlet needed. 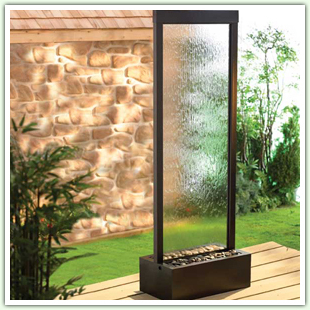 Find the perfect solar fountain today. office. Browse all water features today. standing water features to find the perfect one. match your home decor perfectly! Water features and fountains have many benefits other than adding beauty to your home, garden or place of business. 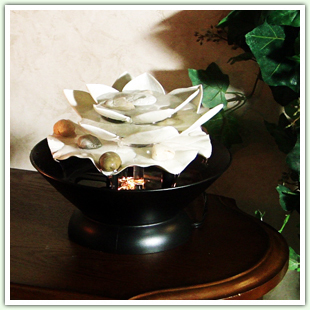 A fountain, whether indoors or outdoors, aids in stress relief and relaxation, acts as a natural humidifier, improves air quality with negative ions, and produces comforting water sounds that can drown out annoying sounds to calm and relax you. 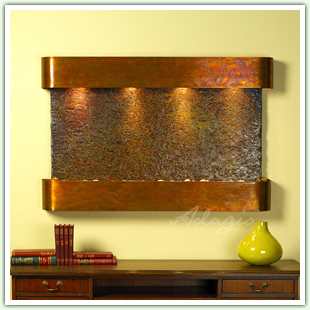 Soothing and nostalgic water features provide hours of pleasure, whether inside your home or office or outdoors. Gazing at them provides opportunity for reflection. Listening to them evokes memories. Their gentle sounds of flowing water can help calm frazzled nerves.